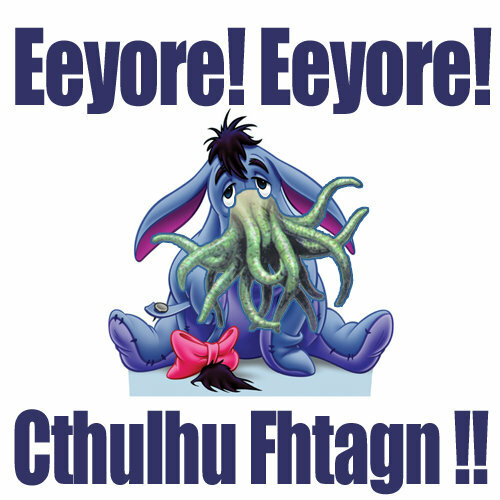 LOLTHULHU MISCELLANY » EEYORE! EEYORE! 2 Responses to EEYORE! EEYORE! This is one of my favorites right now, actually. Christopher Robin was in fact a mad cultist, who could only see his friends in the hundred acre woods after sacraficing a virgin to the Elder Gods.